Forty years ago Roland released their second and, until recently, last analogue modular synthesizer. Called the System 100M (where the 'M' differentiated it from the earlier System 100, which was patchable but not modular) this was a superb system, smaller and in many ways neater than the giant American modular synths of the late '60s and early '70s. It sold in reasonable numbers, but its popularity didn't really take off until after production had ceased, whereupon it seemed that devotees entered a competition to see who could cover the largest walls with its modules. Only six such modules were released when the 100M was launched in 1979, but these comprised all of the major building blocks of a traditional analogue monosynth. 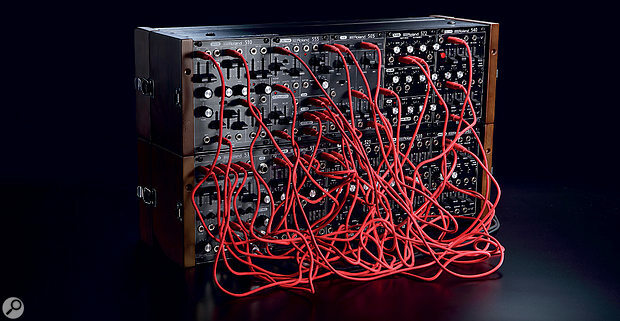 When inserted into their dedicated 190 (three-module) or 191J (five-module) cases they provided access to top‑quality modular synthesis at a fraction of the price of previous systems, not least because each module contained multiple sub-modules so you needed fewer of them. Mind you, they were still far from cheap — a single module could cost around the same price as, say, a Moog Prodigy or a Korg MS‑10 — but, if you combined one of each of the six in two 190 cases you had three oscillators, five filters, three programmable VCAs, a brace of ADSR contour generators, two LFOs, a noise generator, a Sample&Hold and a ring modulator. This wasn't a trivial system and, as funds allowed, it could grow larger and more powerful as you chose. The following year, Roland added four more modules to the family and then, in 1983, released the final three before deleting the whole range just two years later. Five further modules were prototyped but, for reasons unbeknown to me, these were never put into production. 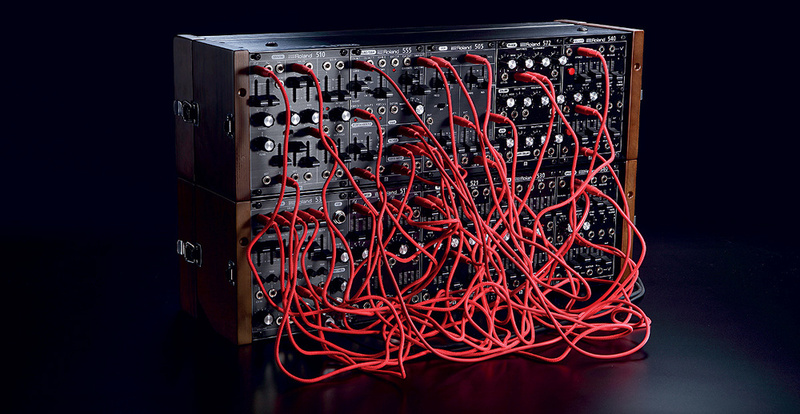 For the next three decades, Roland eschewed the world of analogue modular synthesis. But perhaps the increasing popularity of the Eurorack format proved too much of a lure because, in 2015, the company collaborated with American boutique manufacturer Malekko Heavy Industry to launch five modules that echoed five of the original six 100M modules. Called the System 500, these could be purchased individually or as a so-called 'Complete Set' mounted in Roland's new SYR-E84 Eurorack case. Although the stylish new modules were designed to recall the look and feel of the Roland System 700, the unobtainium Japanese behemoth from 1976, the similarities between the System 500 and the 100M were — at least at first sight — remarkable. Despite replacing the 150 ring modulator/noise/S&H/LFO utility module with the 572 phaser/delay/gate delay/LFO module, the other four — the 512, 521, 530 and 540 modules from 2015 and the 112, 121, 130, and 140 modules from 1979 — could be identified with one another. Nevertheless, when I placed a Complete Set next to my 100M, I was surprised by the number of differences between them. Let's start with the 512 dual‑oscillator module. Like its forebear, this generates three waveforms (sawtooth, triangle, or pulse/PWM) per oscillator, has three mixable pitch CV inputs per oscillator, and offers both hard and soft sync. However, unlike the oscillators in the 112, which can only output one waveform at a time, the oscillators in the 512 give you access to all three waves simultaneously. On the other hand, the 112 allows you to adjust the gain of all six of its CV inputs (ie. the tracking) between zero and 100 percent, whereas the 512 has a fixed 100 percent tracking ratio for two of its six CV inputs. Sure, the chances are that you will want your oscillators to track the keyboard 1:1 for many of your sounds, but it still seems a strange omission to me, albeit one that reduces the cost a little.